The private and secluded elegant communities of South Shore and MonteCatini offer a serene lifestyle of privacy and comfort. Lake Las Vegas homes for sale. Guard-gated community’s of SouthShore are available in the private enclaves of Barcelona, Biarritz, Marseilles, Marseilles Deux, Monaco and Siena. With breathtaking lake views and vistas, SouthShore is a magnificent place to make your home. Guard gated Lake Las Vegas community’s may offer you some of the very best lake views ever imagined! Water lake front luxury real estate is the life style! Lake Las Vegas Nevada offers unique shopping, dinning and outdoor entertainment combined with some of the greatest homes every created. This is a great pace to build a custom built home and lake Las Vegas is the prime area for such a personalized development. Situated near the mountains and near the world famous Jack Nicklaus designed Golf Course Lake Las Vegas provides you with a stunning back drop to build your custom built Lake Las Vegas home. 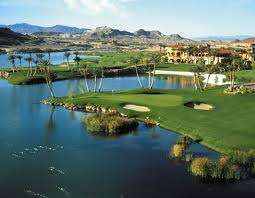 Gated Community’s of Lake Las Vegas offer some of the finest Luxury homes for sale Henderson Nevada may offer. Views of the Lakes water front Custom Homes are Available. If you like water front homes with lake views then why not build your new custom built house right on the shore of Lake Las Vegas itself. Lake Las Vegas Henderson is the area where most New Las Vegas home buyers choose when looking for Las Vegas Luxury Estates and a place to Custom Build elegant luxury real estate. Lake Las Vegas offers some of the finest condos, town homes, water front homes for sale. Lake Las Vegas offers the best views for lake front homes and elegant life style luxury gated communities real estate. Water or Lake front custom built Real Estate for sale in Lake Las Vegas with your best guide Jonathan Abbinante Broker Owner Rockin The House. Jonathan Abbinante will locate the deals in Lake Las Vegas Nevada. If you would like to know more about luxury homes in Lake Las Vegas Luxury or guard gated community’s and would like guidance in any area including the buying of vacant lots in Lake Las Vegas or just simply looking at Lake Las Vegas luxury real estate for sale then contact me for a showing. I produce the best foreclosure deals in Lake Las Vegas. Contact me for Lake Las Vegas Sales, Jonathan Abbinante Realtor Broker of Rockin The House, I produce the best deals an properties always. Jonathan Abbinante Is a member of the Greater Las Vegas Association of Realtors. The words Realtor Realtors are registered trademarks of the NATIONAL ASSOCIATION OF REALTORS All rights reserved.